Sakshi Malik has mastered the art of pinning opponents on mats. The wrestler gave enough proof of that by winning a bronze medal at the 2016 Rio Olympics. She is equally adept at walking the ramp for a fashion show it seems. Like wrestling, Sakshi excelled on the ramp at a promotional event for the second season of the Pro Wrestling League. She looked stunning in a black-and-gold gown by top designer Rohit Bal and walked with confidence. 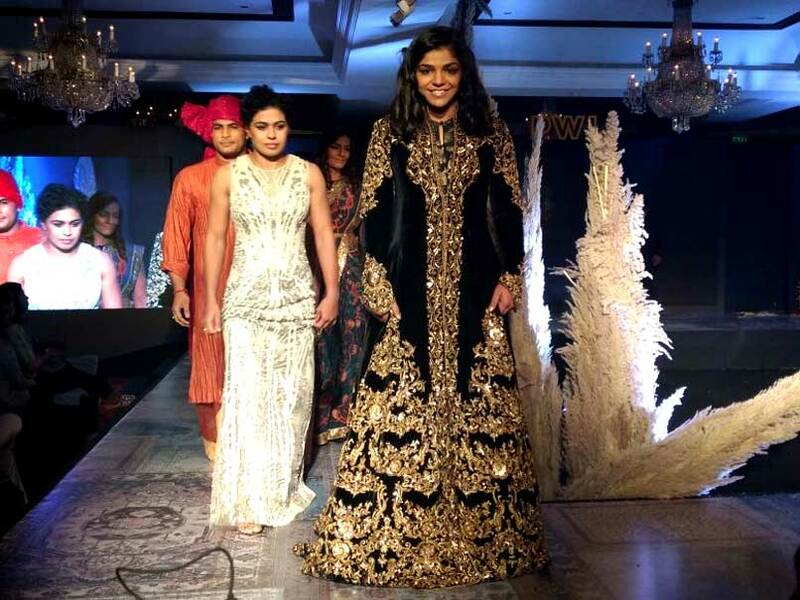 "This was the first time I walked on the ramp. It's easier than wrestling," she said. Besides Sakshi, three other Olympic medallists Yogeshwar Dutt, Sofia Mattson of Sweden and Mariya Stadnik of Azerbaijan along with CWG medallist Yana Rattigan, Geeta Phogat, Babita Kumari walked the ramp for designers like Rohit Bal, JJ Vallaya, Ashish Soni and Rohit Gandhi. The second edition of the PWL promises to be bigger and better than the inaugural one with the world's top grapplers set to feature in the one month-long event next month. 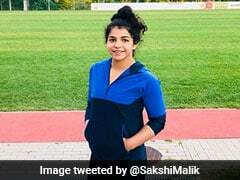 Sakshi said the league has helped her in becoming a top wrestler and she was looking forward to second season, which will have more number of teams competing. 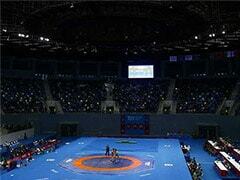 "The league gives an opportunity to young and talented Indians to face world's top wrestlers and improve their game. I am certainly looking forward to the tournament as I get to learn a lot," Sakshi said. 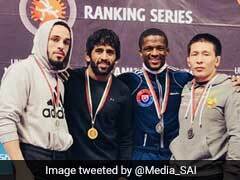 London Olympics bronze medallist Yogeshwar said while it was unlikely for him to take part in the upcoming league as his wedding is scheduled in January next year, he was still trying to work things out and play a few matches. "I want to play in the League. I am trying to work out if I can play some part of it. My wedding is scheduled around mid January and that's clashing with the tournament," said Yogeshwar.